Science says your dog is lying to you for food. Bad doggie. 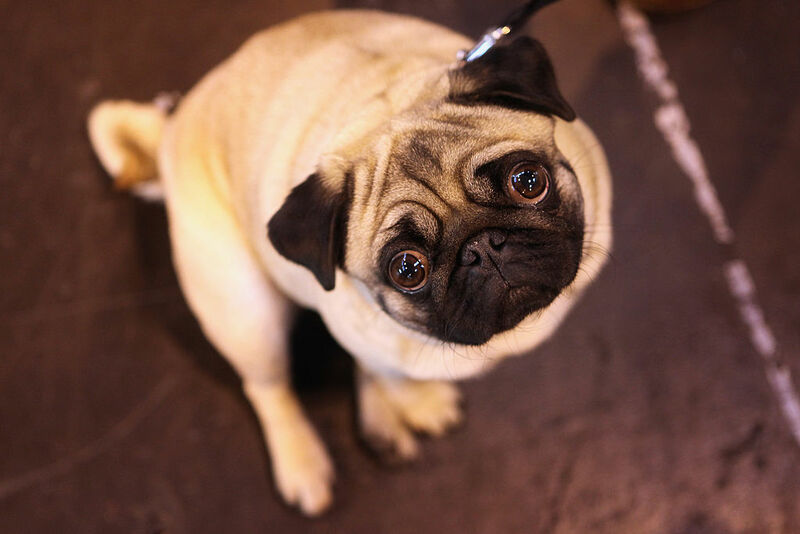 When your pooch gives you those sad puppy dog eyes, don’t you want to just give them the world? But wait a second. According to new research, dogs are not above lying to you to get a tasty treat. In fact — this may come as a shock to you — dogs know how to trick their owners in order to get a snack. Turns out, they can, reports Bustle. Here’s how scientists found out. The University of Zurich in Switzerland gathered up a crew of 27 adult dogs of different breeds. The pups were trained to recognize two types of owner. One was “cooperative” and always gave the dog treats, and one was “competitive” and kept the food for herself after showing it to the dog. Then, the dogs were offered a test with their two “owners.” The scientists presented three boxes, one with sausage, one with dry dog biscuits, and one with nothing. Then, the dogs were paired up with each owner and commanded to show them the food. The cooperative owner would allow the dog to eat what’s inside, while the competitive owner would keep it for herself. The result? The dogs would lead the cooperative human to their food of choice and the competitive one to the empty box. This happened more than half the time, so this happened more than just by chance. "On both test days, the dogs were more likely to lead the cooperative partner than the competitive one to the box containing the preferred food, and this effect was stronger on the second than on the first test day," the study says. Meaning? Yup, your little, sad-eyed dog is really a master of trickery and deception.